2, controller: high speed DSP. 3. Lens: 1000 times microlens (only one gear). 5, photo: software and hardware (all can). 6, the video intercept the picture's pixel: 1600x1200 (2MPixel), 1280x1024 (1.3M Pixel), 1280x9601024x768800x600, 640x480, 352x288, 320x240, 160x120. 7. Lens rate: 30f/s at the brightness of 600 lux. 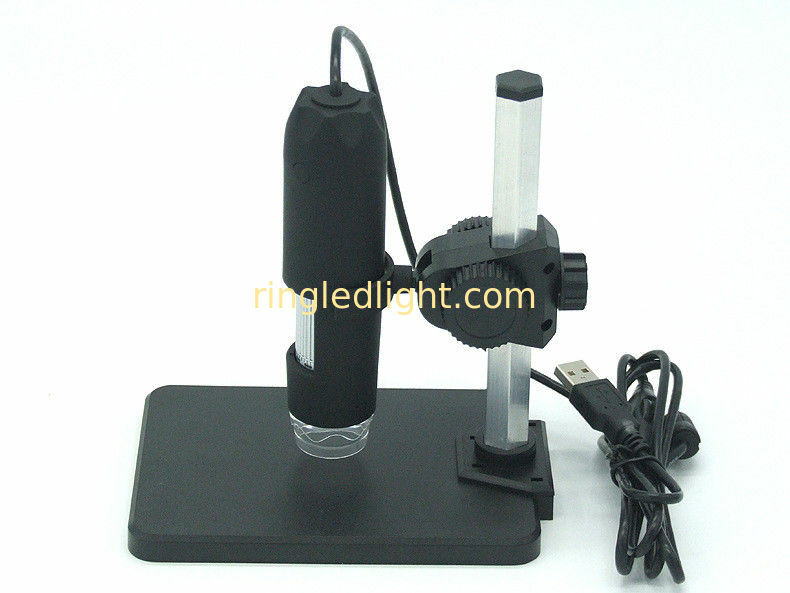 10, the lamp source: white LED lights eight, can switch, or can adjust the brightness of the picture in the software interface. 14, hardware requirements: Petium or above, 20M hard disk, CM ROM drive, 128MB memory, Direct X VGA card. 18, accessories: a bracket, an English manual, a CD driver, neutral color box. without USB: Without USB function, can not video or photo!